The lovely village of Koutouloufari offers the ideal combination of authenticity and convenience. 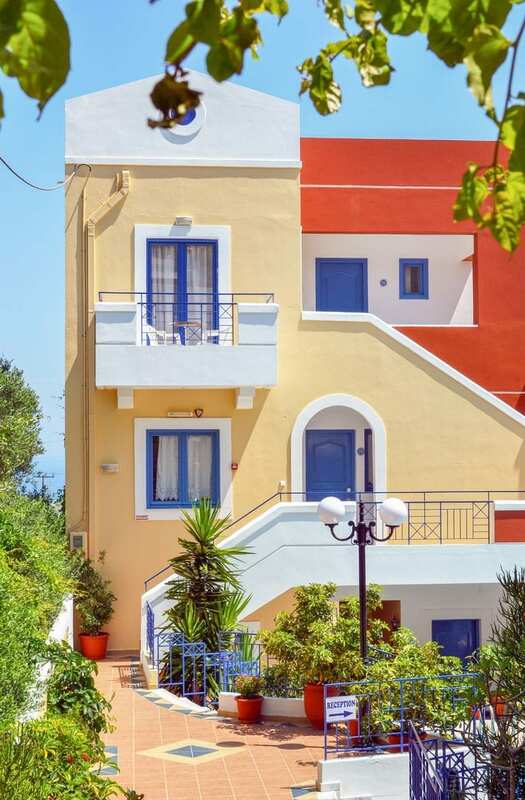 Situated between Heraklion and Agios Nikolaos, Koutouloufari is the perfect ideal home base from which to explore one of Crete’s most exciting regions, filled with activities and sights. A traditional village, set on a mountain slope, is also an ideal place to relax after an activity-packed day. Traditional Cretan villages are famous for their charm. The seaside cities have their harbors and Venetian delights. But to get to know the true Crete, you need to see a village. 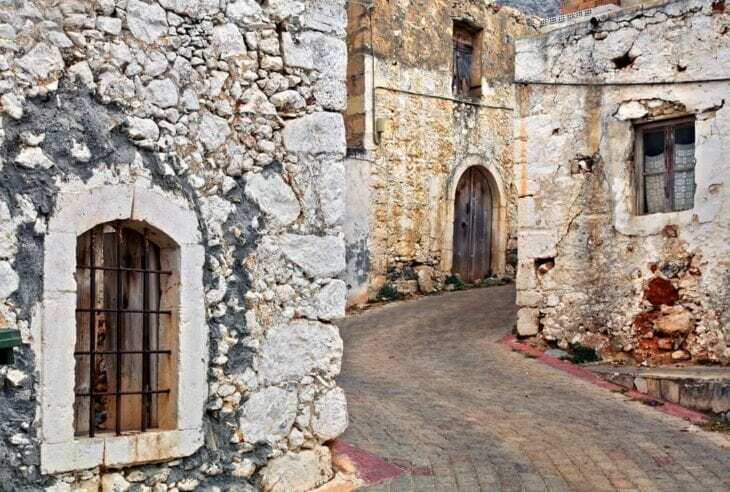 The cobblestone alleys, stone houses, the shade of chestnut trees and plane trees, and traditional town squares are among the many reasons to choose a place like Koutouloufari for your stay on Crete. 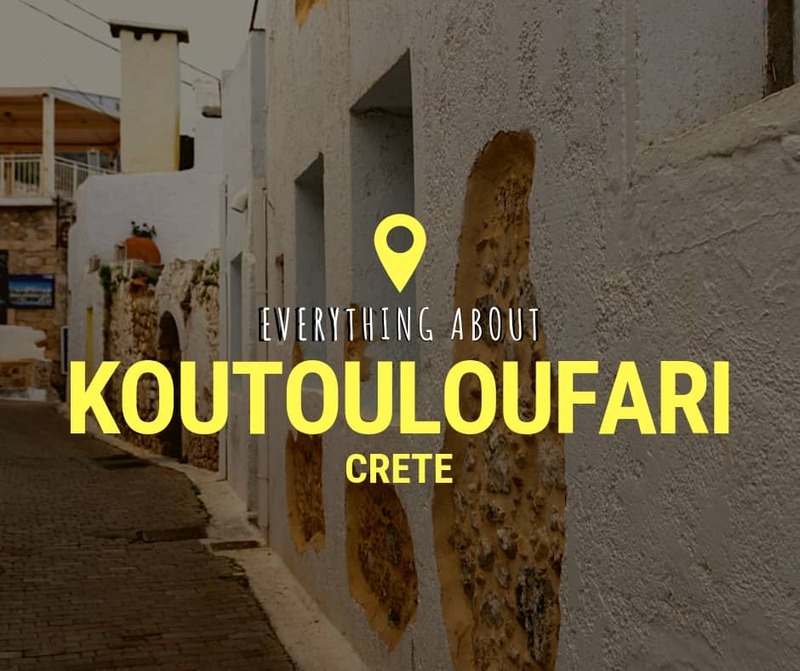 Koutouloufari is right in the middle of one of Crete’s busiest and most interesting areas, between the capital Heraklion and Crete’s easternmost town, lovely Agios Nikolaos. It’s just about a kilometer inland from the coastal town of Hersonissos, on the lower slopes of Mt. Pyrgias, at an elevation of 100 m. Koutouloufari is within very easy distance of a number of major attractions. 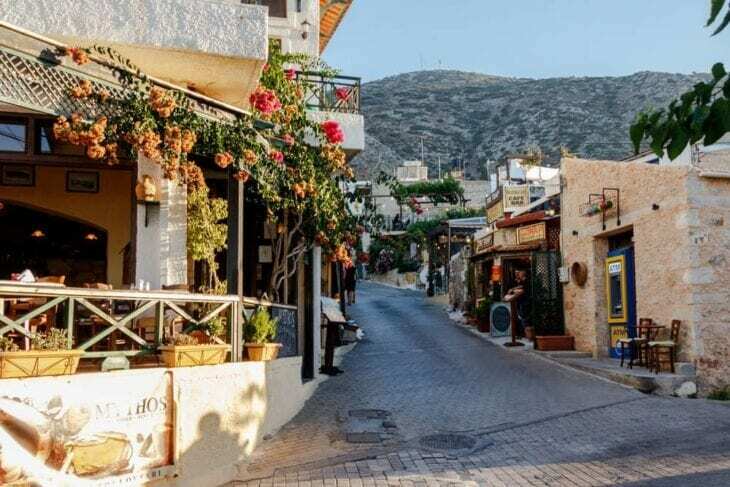 It’s just over a half an hour from Knossos, the Minoan Palace, less than 20 minutes from the fabulous CretAquarium, and very close to many full-service sandy beaches. 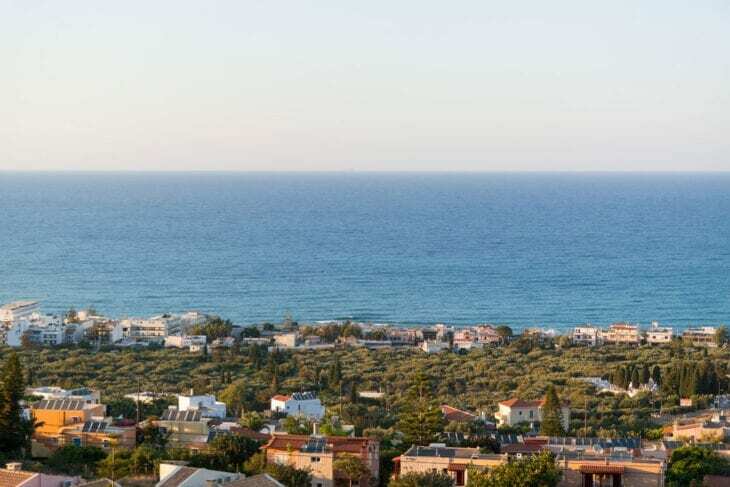 Koutouloufari is just 24 km from Heraklion’s International Airport. If you rent a car, you will have maximum flexibility and be able to explore the region and to visit the sights and beaches with ease. You can pick up your car at our car rental office located in the Heraklion Airport. If you are traveling during high season, it’s a good idea to book online in advance. If you’d like to take a bus, you will need to get to the KTEL station, which is near the harbor. There are frequent departures throughout the day- check here. If you arrive in Heraklion by plane, you can take a bus from the airport directly to the KTEL Station. Buses leave every 10 to 15 minutes. For more information, see here. Taxi prices from the airport to Koutouloufari start at 33 Euros. There are many villages on mountain slopes all over the Greek Islands, including of course Crete. But people did not settle here for the views – they came to escape pirates. Koutouloufari is one such village. It’s first mentioned during the Venetian era, in the 16th century. To get a better taste of the Venetian Civilization, visit Heraklion’s Venetian Fortress and the Morosini Lions Fountain, two of the eras loveliest monuments, and particularly romantic by night.This is one of the most interesting regions of Crete. It was the center of the great Bronze Age civilization of Greece – the Minoans. Their advanced and mysterious culture flourished for six centuries, from 2000 BC to 1400 BC. (To put this in perspective, the Golden Age of Athens, 478 BC to a littlebefore 400 BC, was a full thousand years later). Visiting Knossos, a gloriously and dramatically restored Minoan Palace, gives you some perspective. Koutouloufari is a great home base for exploring the region. After a day at the beach it’s wonderful to return to a traditional village. 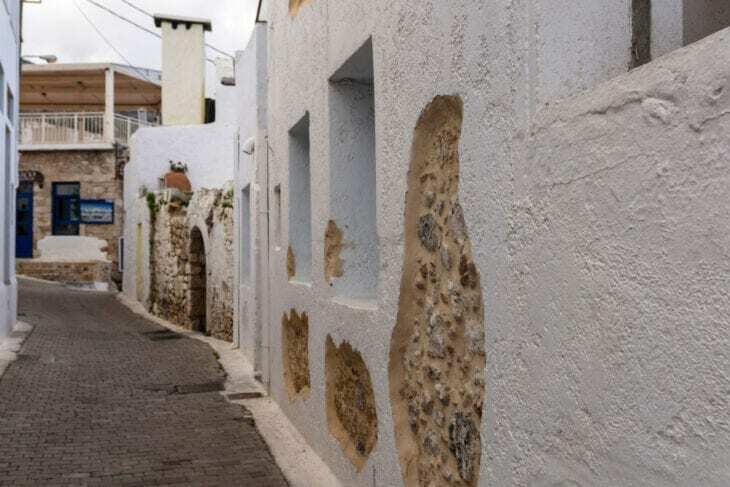 Enjoy real Cretan village lifestyle here, by strolling though the alleys and having a coffee at an old style cafe. There are also many family tavernas offering excellent home-style cooking. Cretan cuisine, based on high quality regional products and long tradition, is fabulous. 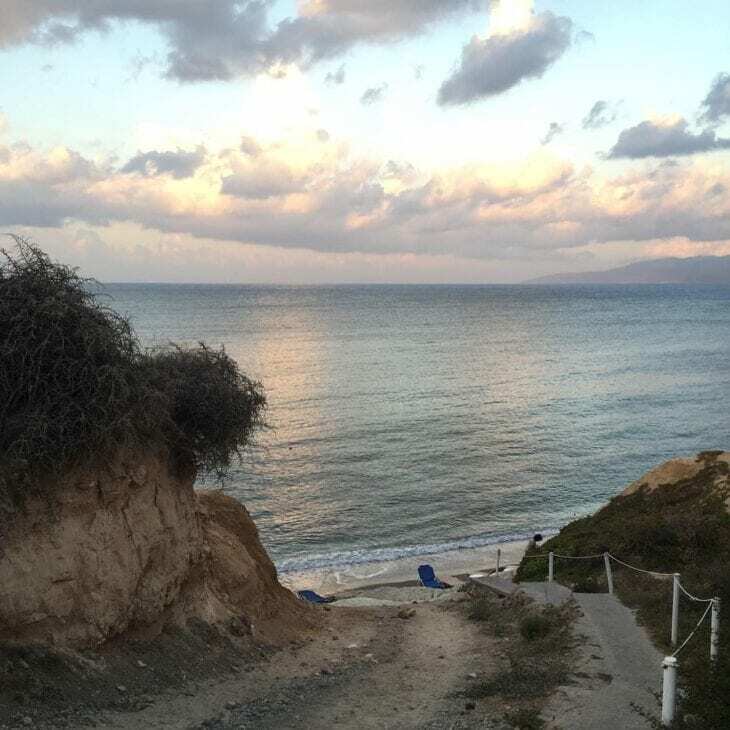 Limanakia Hersonissos – this is one of Crete’s most popular beach destinations. It is not one beach but many – a string of bays that stretches from Cape Sarandaris to the Port of Hersonissos. There is something here for everyone. There are fully-serviced sandy beaches offering loungers, umbrellas, beachside food and drink service, and exciting watersports. There are also rockier beaches that are more secluded. The waters are spectacular. Sarantaris Beach: Part of the consecutive bays known as the Limanakia, that stretch from Akrotiri Sarantaris all the way east to the Chersonissos Port village, the Sarantaris Beach is famous for its shallow turquoise waters and silky sand. An organized beach with many restaurants and cafes surrounding the area, it is ideal for families with children. This is the perfect time to try out a new watersport, or hone your skills. Paragliding, jet packs, jet boards are among the exciting options, along with more conventional excitement like waterskiing. There are many watersports centers along the beaches of Hersonissos. There are also several diving centers near Koutouloufari. The Divers Club Crete is a five-minute drive away, and the Scubakreta Diving Center is just a ten-minute drive. There is also action in the mountains. The Odysseus Stables in Avdou are just over a 20-minute drive away if you’d like a horseback ride. Just a kilometer outside of Avdou, you’ll find the entrance to the Roza Gorge, a hike of about one and a half hours uphill that gets steadily steeper, but rewards the visitor with fantastic views. The scenery in the gorge itself is also fantastic if you don’t want to complete the whole route. If you like the traditional style of a Cretan village, you’ll also love exploring the villages of Piskopiano and Old Chersonissos. Piskopiano, at the foot of Mt. Harakas, has a magnificent panoramic view of the sea and shores. Like Koutouloufari, this traditional village was settled away from the coast to avoid pirate raids. The villagers occupy themselves with livestock and olive growing in addition to tourism. This would be a charming place to sample some local cuisine. Piskopiano is mid-way between Koutouloufari and Old Hersonissos. Old Hersonissos is also a traditional village, with some Venetian heritage. The Venetian fortress now houses an ecclesiastical museum. The Byzantine Monastery of St. John is also interesting to visit while you are here. 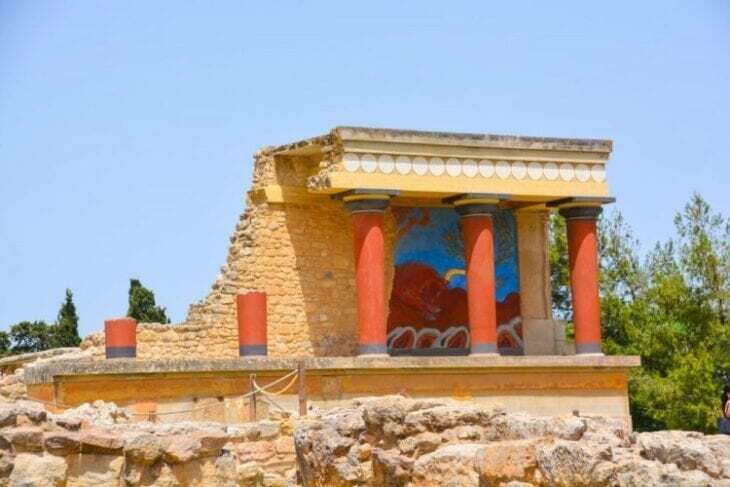 The Minoan Palace of Knossos, one of the world’s most celebrated archaeological sites, is just 35 minutes away from Koutouloufari. Restored in vivid color, this is also an exciting archaeological excursion if you are travelling with children. 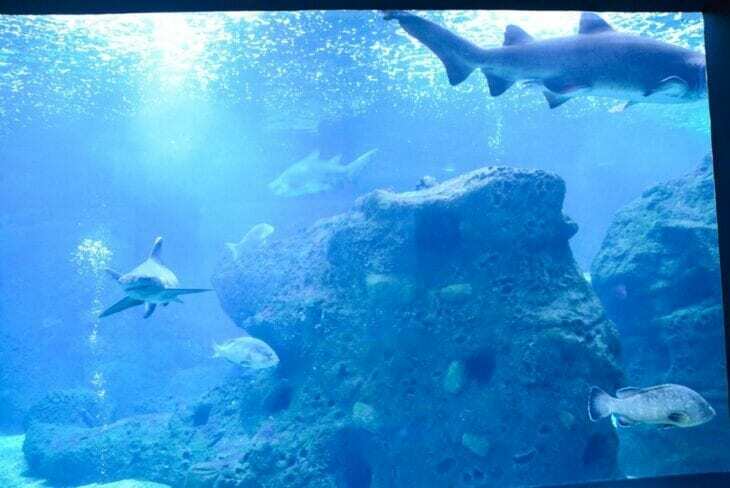 Also great for children and adults is the CretAquarium Thalassocosmos (Sea-world) – an amazing destination for learning about the beauty and biodiversity of marine life. This is a fantastic place to learn about the ecosystems and see many fabulous and fascinating creatures of the sea. We hope that you enjoyed learning about Koutouloufari and everything you can do during your holidays here.